Sport is an important part of life at Ashfold. Children participate in a wide range of sports and activities and we aim to develop their skills and understanding, whatever their ability. We want children to enjoy sport and to understand the benefits of physical activity. We always encourage children to strive for excellence while impressing on them the importance of team spirit and sportsmanship. "Pupils learn how to react to difficult situations and display a sense of fairness when competing in sport and in house competitions"
Games sessions are led by our team of professional coaches who offer coaching to the highest standard. We have professional coaches in cricket, football, hockey, rugby, netball and tennis. They are supported by our teachers many of whom are accomplished sports players and coaches in their own right. 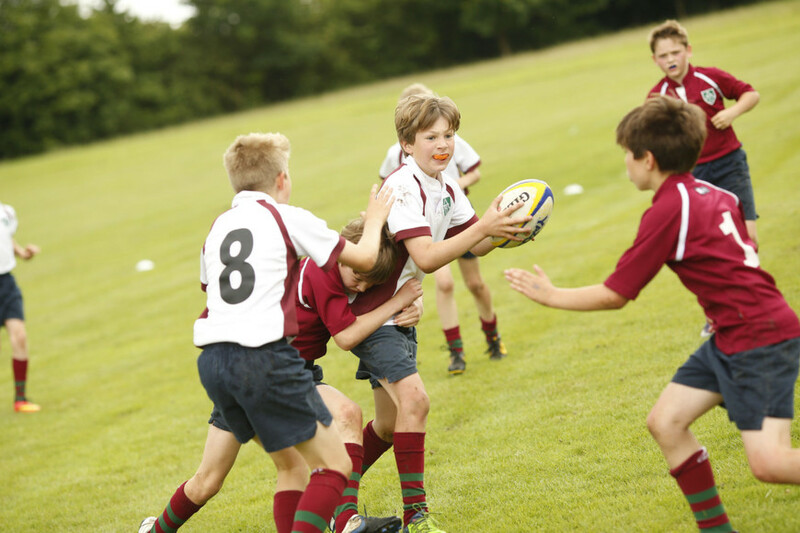 The main sports for boys are rugby, hockey and football during the winter and cricket and tennis in the summer. 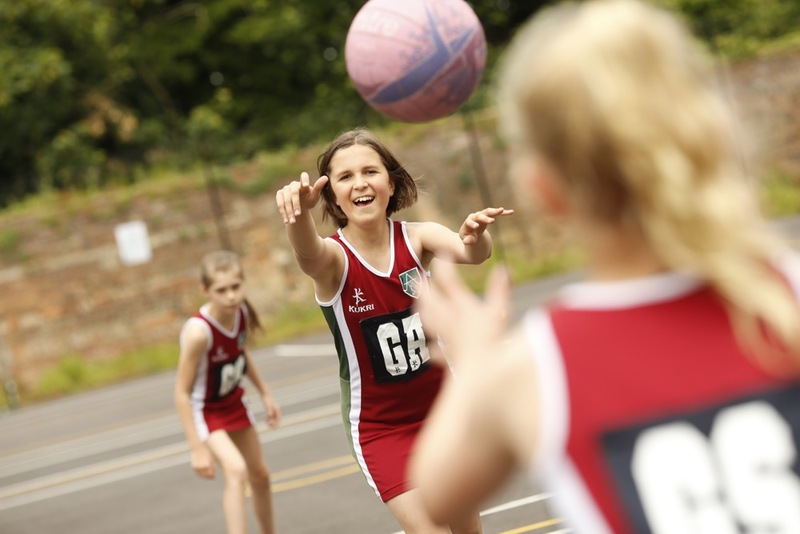 The main sports for girls are hockey and netball during the winter and tennis and rounders in the summer. Children are also coached in cross-country, athletics, triathlon, swimming and dance. We have flourishing equestrian and shooting teams and offer a wide range of sporting activities as part of our programme of evening activities. Inter-school matches in all the main sports are usually held on Tuesday afternoons for Forms I and II (Years 3 and 4) and Wednesday afternoons for Forms III - VI (Years 5 - 8). We aim to give every child the opportunity to represent the School during the year. Children also compete against other schools at cross-country and athletics meetings as well as at tournaments hosted by the Independent Association of Prep Schools (IAPS). Other opportunities for competitive sport include inter-House competitions in all the main sports, our annual cross-country race, the Wigan Run, and Athletics Finals Day. We have a strong record of achieving sports and all-rounder scholarships to leading independent senior schools and many of our children play for local clubs and at county level in a wide range of sports. Children who are identified as potential sports scholars are invited to join our Talented Group. They enjoy weekly training sessions and learn about different aspects of elite sport. 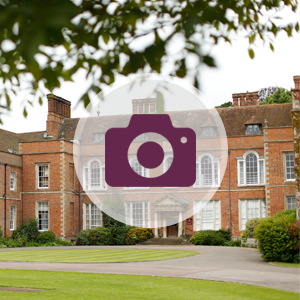 Our facilities include a full-sized astroturf for hockey, a Sports Hall, newly refurbished courts for netball and tennis, a heated outdoor swimming pool, indoor cricket nets, a trim trail and an indoor rifle range as well as extensive playing fields with excellent rugby, football and cricket pitches.